Body butters could be elegantly showcased in our amber and clear PET plastic jars with frosted black caps. The plastic caps feature a matte finish and PE/F217 liners that offer substantial protection for your product, as well as chemical resistance and low moisture transmission rates. PET jars could package an array of bath and body care products, offering effective barriers against moisture, oxygen, alcohol, acids, grease, and oil. 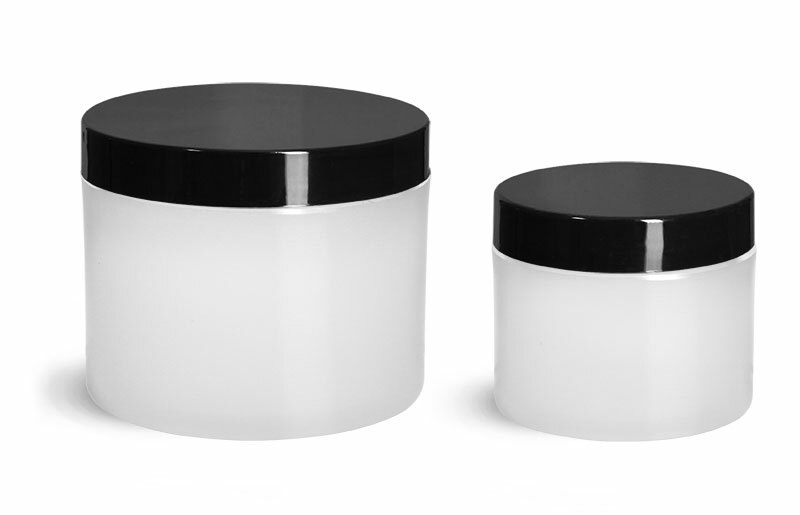 Consider these plastic jars to create a full product line today!